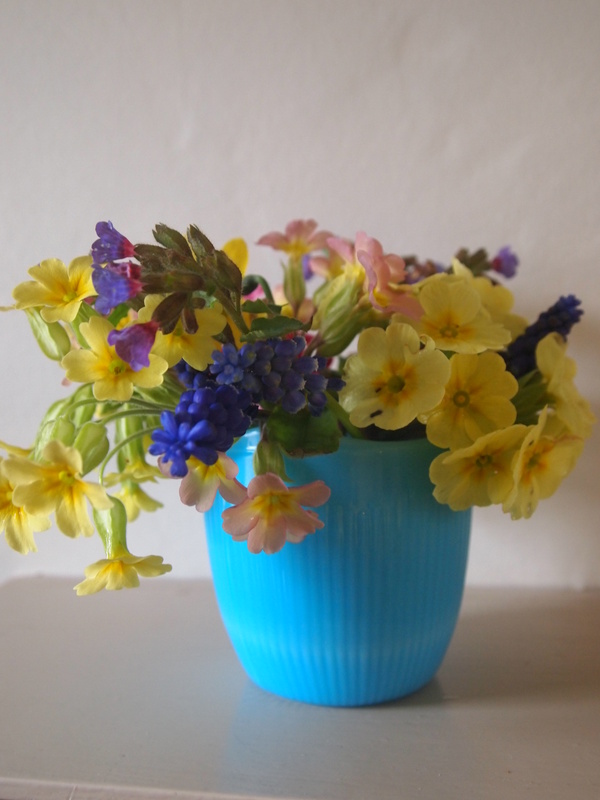 Today’s vase is a simple collection of Spring taken from the garden and plonked in the turquoise milk glass jug I acquired from a charity shop for £2. 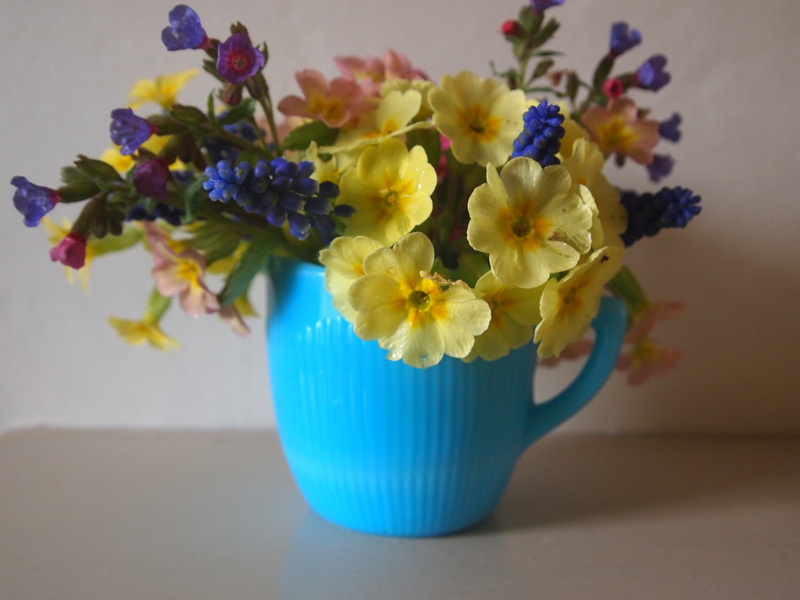 The jug is such a rich colour for glass and it seems to be a good contrast to the yellows, blues and pinks in the garden today. A dark pink Hyacinth, a couple of tiny, but perfect in their miniature form, of daff. these are the dwarf, rich yellow daffodil, Narcissus ‘Tete a Tete’, as well as a few of the dark blue/purple Grape hyacinth, Muscari. Pale and quite perfect in their delicate tones of pinks and yellow are the Primoses: Primula vulgaris, Primula veris and Primula denticulata. 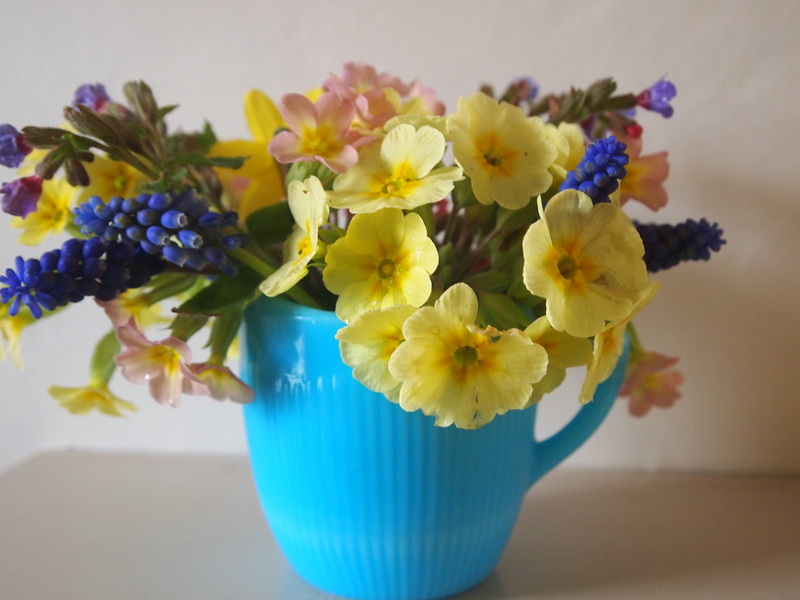 I love to see these in the garden as they bring to mind memories of making Easter cards at school in Shannon. 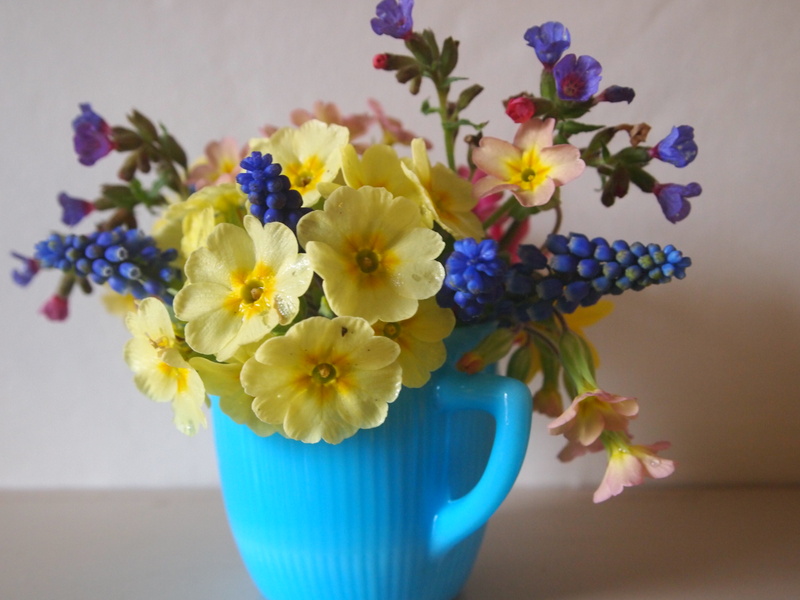 There are also a couple of sprigs from Pulmonaria which have a lovely mix of blue and pink flowers on each stem. I think I am right in saying that this is Pulmonaria officianlis which has grown from a piece Jill passed over the hedge to me. The scent of the Hyacinth is filling the kitchen as I write this, and I fear it will have to go outside, before those who suffer with allergies, begin to sneeze. I will enjoy it while I can. 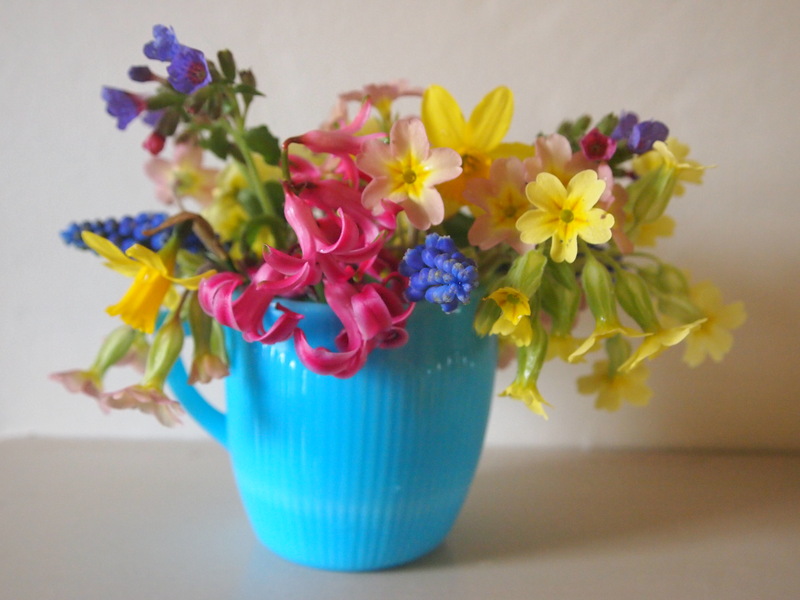 If you enjoy the in a vase post take a look at some of the other bloggers posts including Cathy at Ramblinginthegarden and Chloris at thebloominggarden. Do take a look and be inspired.